January continues to be reflection time. So...I'm taking a long hard look at My Scenic Byway. I've been writing here for 1 year and 5 months now. 17 months, 589 posts - that's an average of 34 posts per months. I'm happy that I've been able to keep up the writing and the photographing. Thank you to everyone who comes to check out My Scenic Byway. I hope you enjoy my blog. Writing is cathartic and fun for me, but I also write with the hope that I might be bringing some information or ideas to you that will be interesting, fun and helpful. It has been fun to see my viewership grow. While I only have 27 official followers that show up on my page through Google and Networked Blogs, I know there are many others who follow regularly through Facebook, Bloglovin, email and just heading straight for the blog site. Most people find My Scenic Byway randomly through Google searches for a whole range of things. I wish I knew more about you - who you are, what brings you here, what you like, what you want more of. I invite you to please leave comments or better yet, write to me. I appreciate your thoughts, insights and feedback. It is fun to see the Google and other site searches that brought you here. Interesting to me is that right now the most searched thing that brings you here to me is "Mojave Phone Booth." That random little movie, and the phenomenon that was the Mojave Phone Booth, sadly now gone, intrigued me and obviously it does you as well. 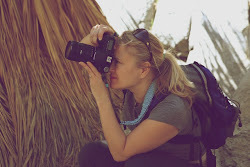 If the Mojave interests you, I have a lot more Mojave adventures coming up, so keep visiting. 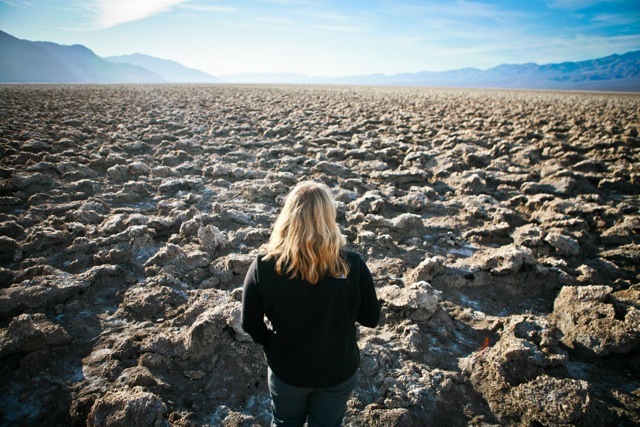 If all goes as planned we will be living in the Mojave Desert area within a year. 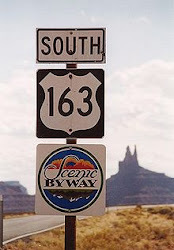 - my scenic byway (I like to think that my use of this term is catching on in meaning). I get many, many random visitors from all over the world and that is fun to see. After the US, I get the most visitors here on My Scenic Byway from the UK, China, Germany, Canada, Ukraine, Russia, France, Malaysia and the Philippines. I can never tell how many of the visitors are first timers or repeat customers. I hope you will keep coming back for more. In 2011 I had quite a lot of travel to write about - around Utah, in the US and overseas (Liberia, Republic of Georgia, Germany, Switzerland, Mexico, California, Nevada, Arizona, Pennsylvania, New York, Washington, DC). Was any of that of interest? I hope so. For 2012 get ready for a lot more posts about places in and travel tips for the Western US, and on building an off grid house in the Mojave Desert. I expect to have some work trips that will take me abroad to Liberia and the Republic of Georgia so I hope to write more about those places, but I am not expecting too much international travel this year as we need to focus on building our house. I think a lot more of my travel will be in the US this year and not so much overseas, but we'll see...routes are always changing on the Byway. Stay tuned.